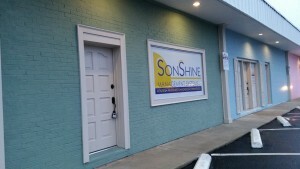 SonShine Management Systems was organized in 1996 as an extension of US Real Estate to connect directly with current owners of real estate in the Florence, SC area for their property management needs. Since 1996, rental properties ranging from apartments to condos to houses to commercial rental facilities have been managed by our firm. We at SonShine Management strive to meet all owner’s expectations with our property management services while advancing the value of their individual real estate holdings. By providing monthly reports regarding cash flow, as well as expense registers for an owner to see where each dollar is going, our current owners are completely satisfied with the services we have provided to them. Currently, we have one licensed property manager-in-charge along with one other licensed property manager on our full-time staff. We employ a maintenance technician who is able to respond quickly and effectively to any maintenance need which arises. Maintenance work is completed on managed property at a set labor rate exclusively available to the owners of property we manage. If you are a real estate owner and would like to allow someone else to manage your property at a fraction of normal operating expenses, we would welcome the opportunity to provide you with further information about our company. Please feel free to call or contact us anytime. We would enjoy answering any questions you may have regarding our property management division.